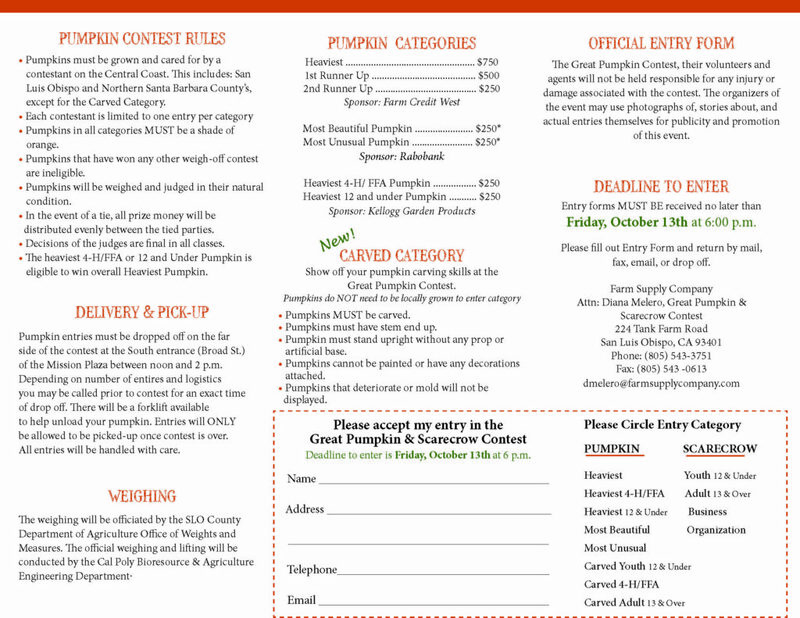 This year’s contest includes a new “Carved Pumpkin” category for youth, 4-H/FFA, and adults, plus a NEW Mechanical Scarecrow Category. 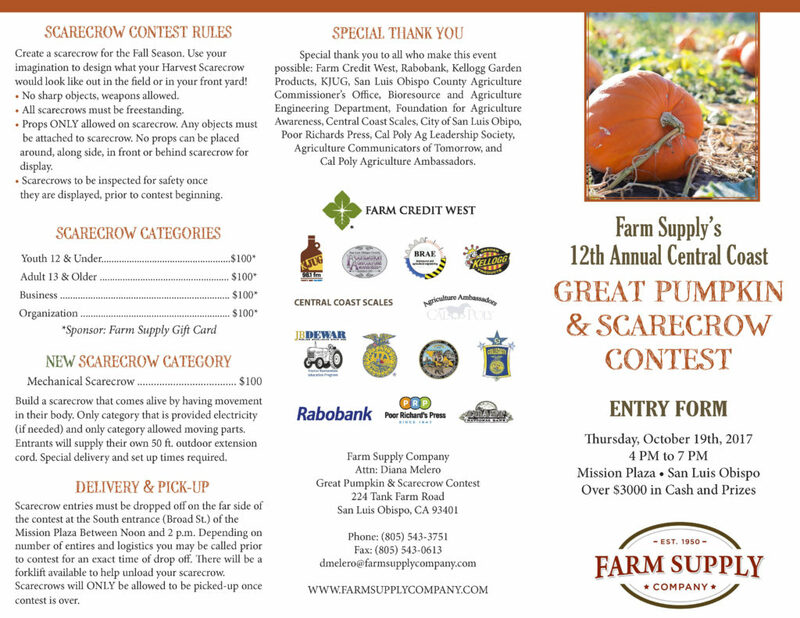 Over $3000 in cash prizes will be awarded to the most creative scarecrows, heaviest pumpkin, heaviest 4-H, and heaviest FFA pumpkin – all grown here on the Central Coast. If your pumpkin isn’t big, there are prizes for most beautiful and most unusual. Best of all it’s FREE TO ENTER!!! The contest entry form found below. MUST be submitted by Friday, October 13th. For any event questions, contact Diana Melero at 805-543-3751 or email events@farmsupplycompany.com. We look forward to seeing you at the GREAT Pumpkin and Scarecrow Contest on October 19th! Please fill out and submit entry form by Friday, October 13th.